A 5-year-old Indiana boy's love of Spider-Man inspired his mother to ask for a superhero funeral after he died from a brain tumor. 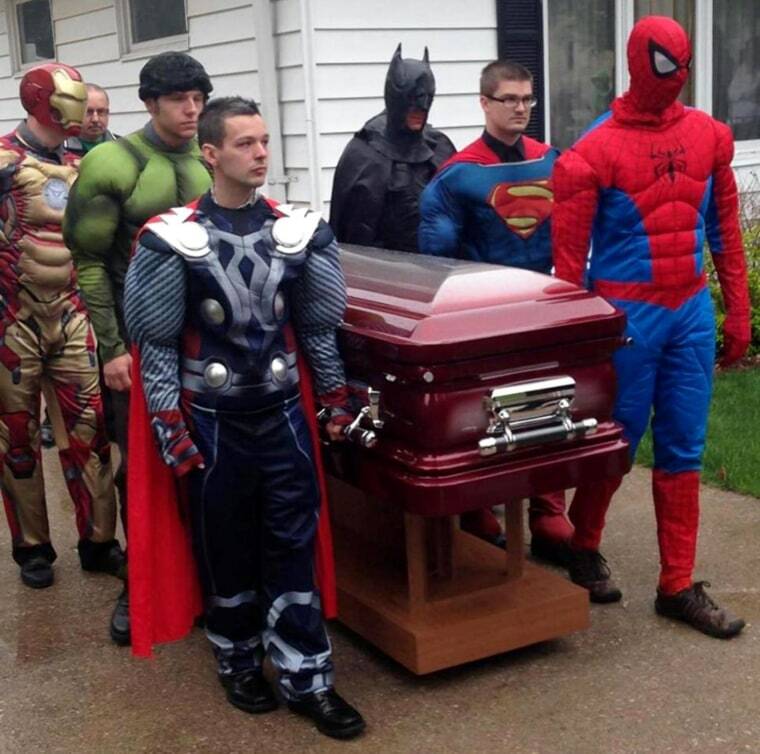 Adults dressed as Spider-Man, Superman and the Incredible Hulk were among the pallbearers for Brayden Denton's funeral last week in the Newton County town of Kentland in northwestern Indiana. Staci Denton said her son first was a Spider-Man fan but started liking more superheroes as he collected their action figures. "He was a huge Spiderman fan," she told WLFI-TV. "He had to quit just liking Spiderman because he had all the toys. So really, he liked every superhero." Cory Denton dressed as the character Thor for his nephew's funeral. He says Brayden wore a Superman outfit when they went to a Superman movie and that they watched all the Ironman movies together. Brayden died at Riley Hospital for Children in Indianapolis after a 13-month fight with brain cancer.